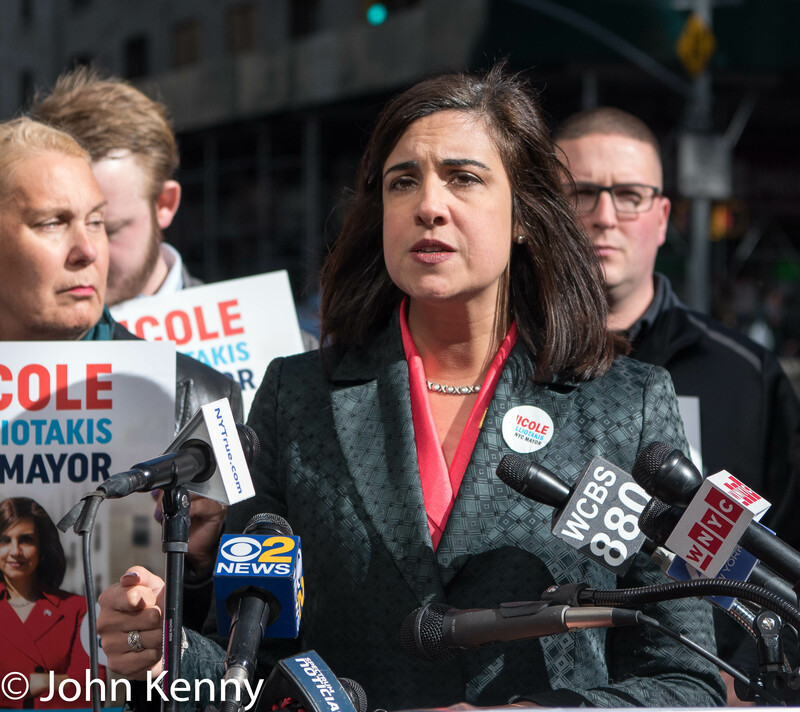 Republican/Conservative mayoral candidate Nicole Malliotakis today demanded that the Campaign Finance Board freeze any additional matching fund payments to incumbent Democrat Bill de Blasio. 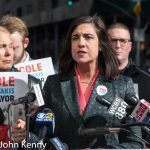 Speaking at a press conference outside the office of the CFB Malliotakis referenced the recent testimony of Jona Rechnitz in the federal corruption trial of Norman Seabrook on his political contributions to de Blasio and, according to Rechnitz, the mayor’s responsiveness to his requests in exchange for those contributions. 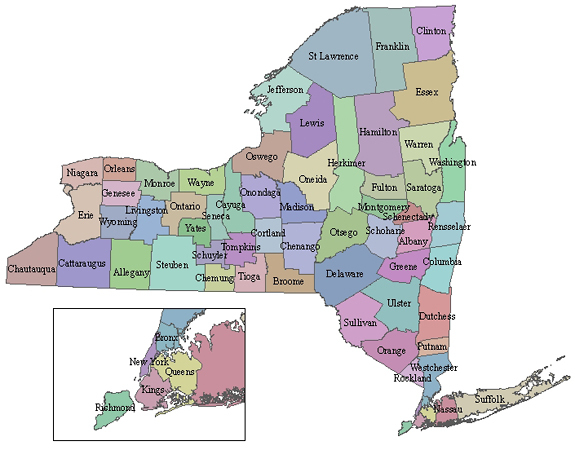 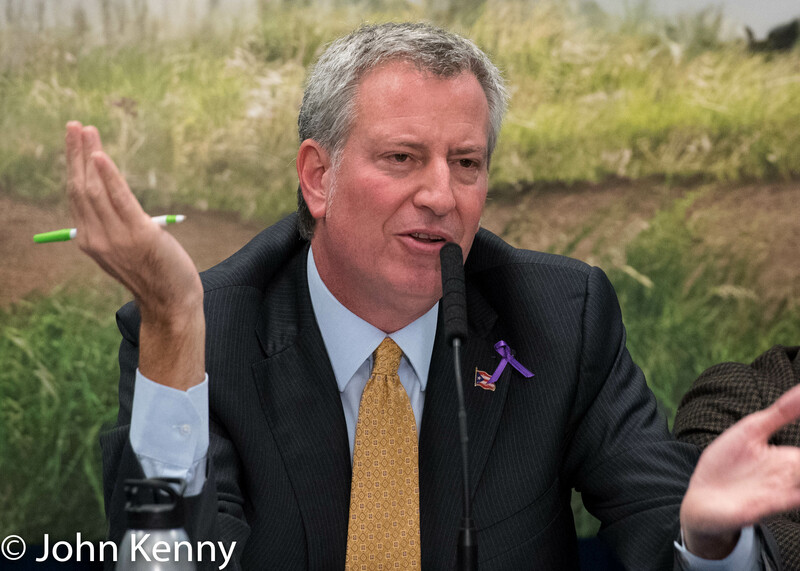 Mayor Bill de Blasio and U.S. 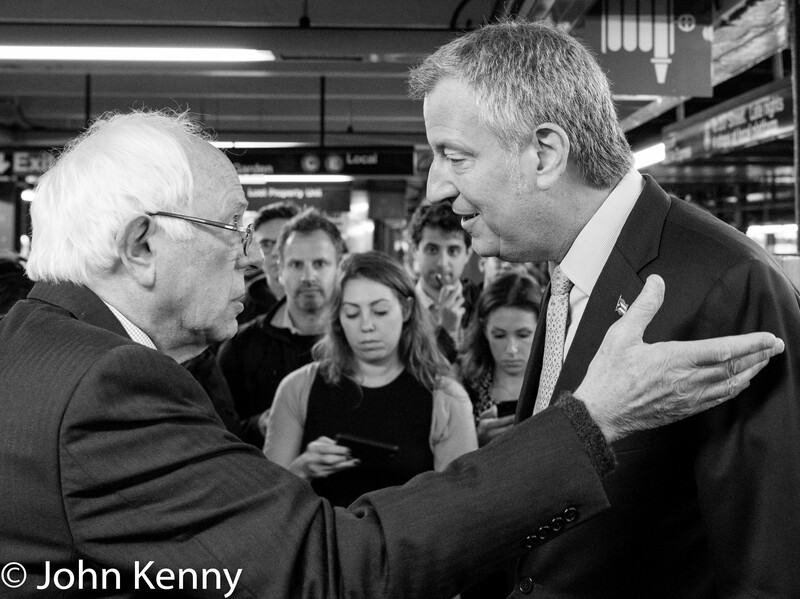 Senator Bernie Sanders rode the subway today, with riders in a packed but welcoming car calling out support for Sanders. Their destination was a press conference at the Fulton Street station voicing support for a “fair fares” initiative. 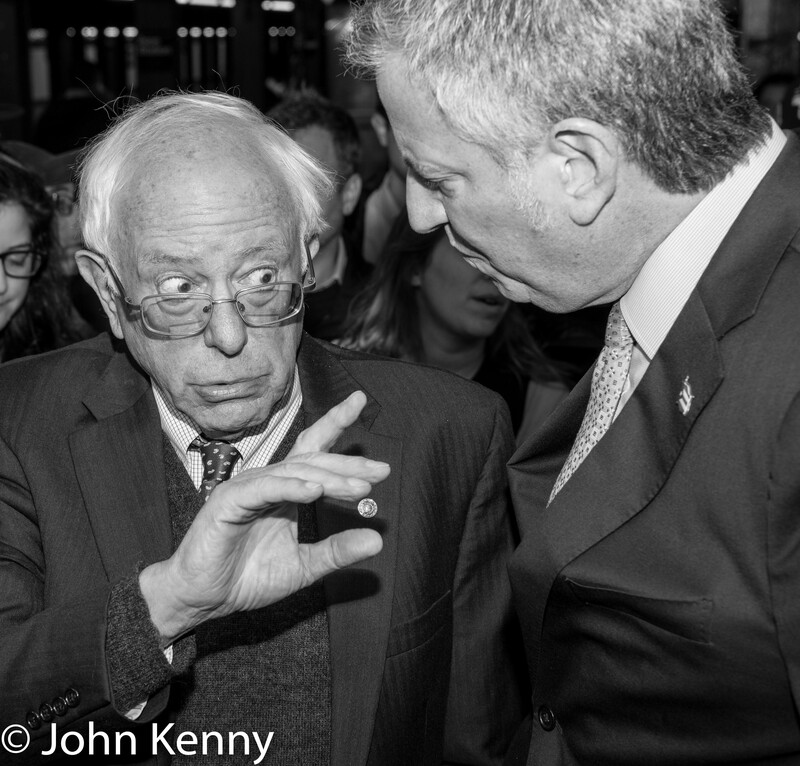 They also appeared together tonight at a de Blasio campaign rally. 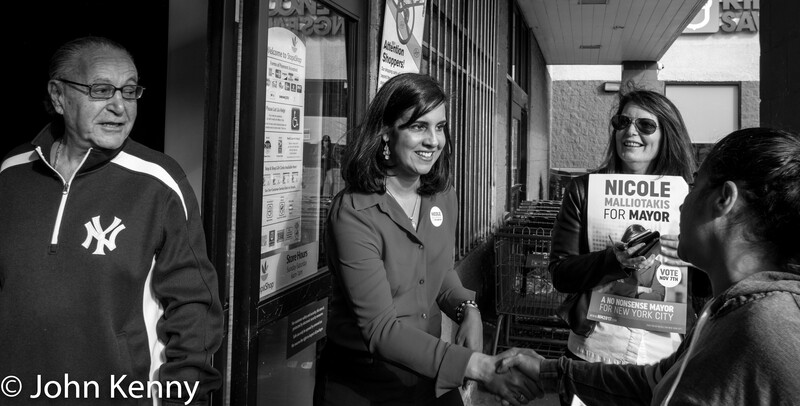 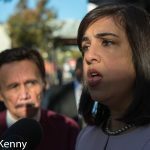 We caught up with Republican/Conservative mayoral candidate Nicole Malliotakis in the midst of her 5 borough campaign day Saturday, talking briefly about campaign stops that day and the notion of the forgotten borough. 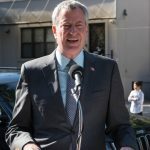 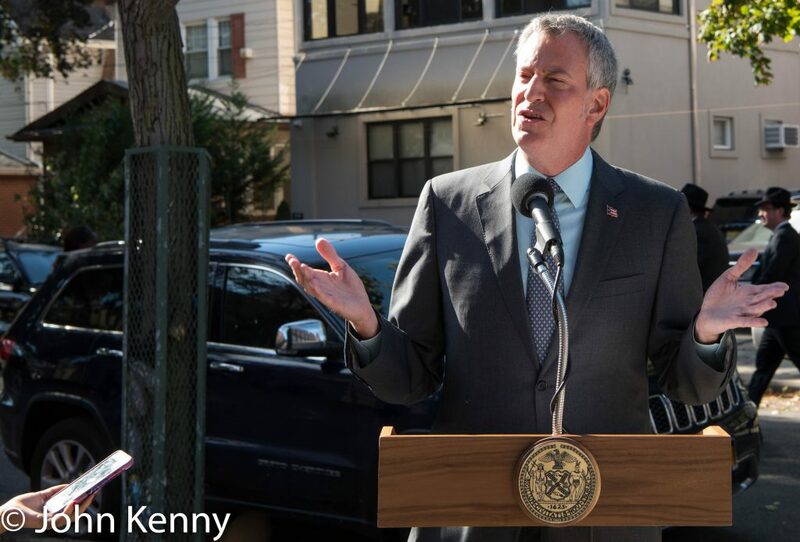 Mayor Bill de Blasio held a short press conference this afternoon to defend himself against allegations made by a witness in the Norman Seabrook corruption trial. 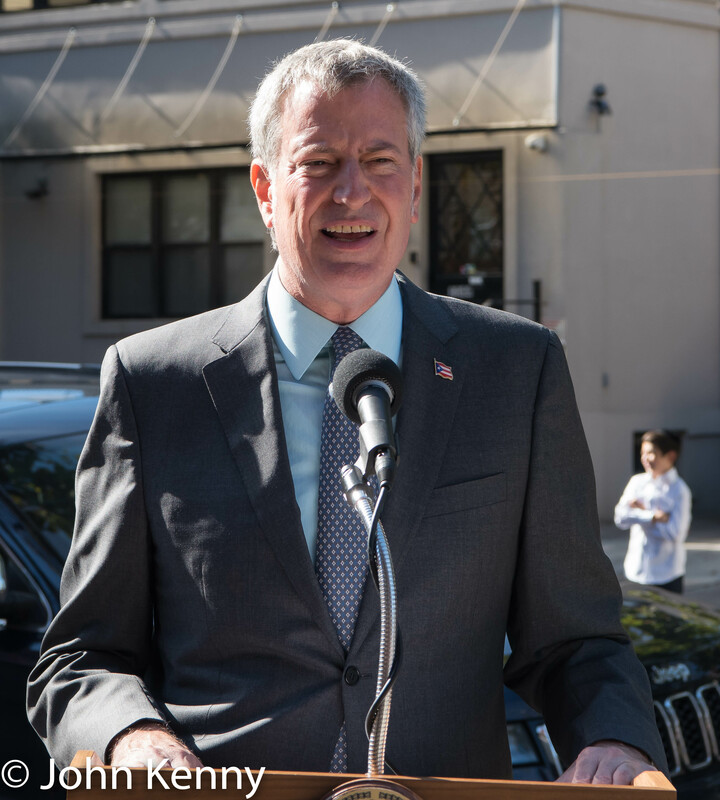 Speaking outside the Young Israel of Avenue K synagogue in Midwood de Blasio repeatedly called that witness a liar and a convicted felon. 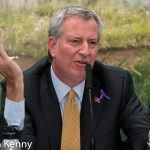 He defended his actions as proper and pointed to the investigations by the U.S. Attorney, which is also prosecuting Seabrook and had Jona Rechnitz testify, and the Manhattan District Attorney which concluded without any criminal charges against de Blasio or his staff. 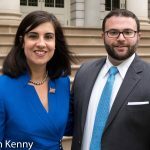 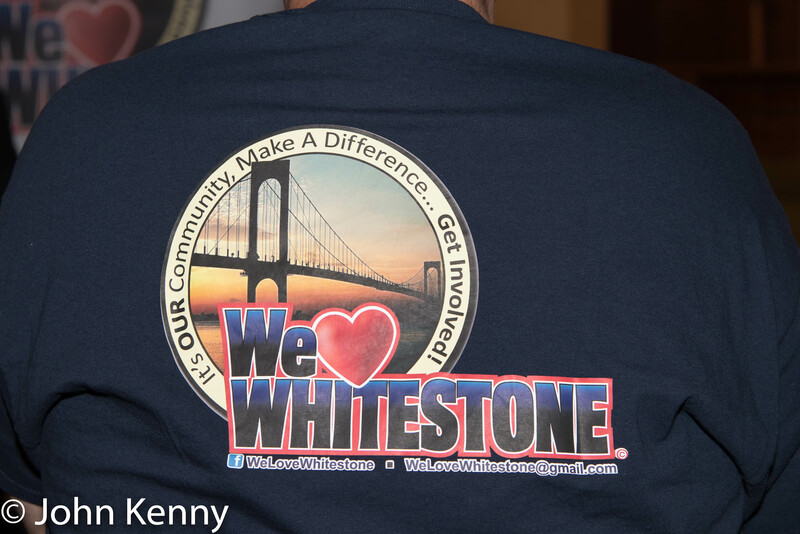 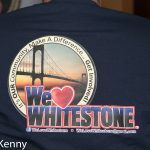 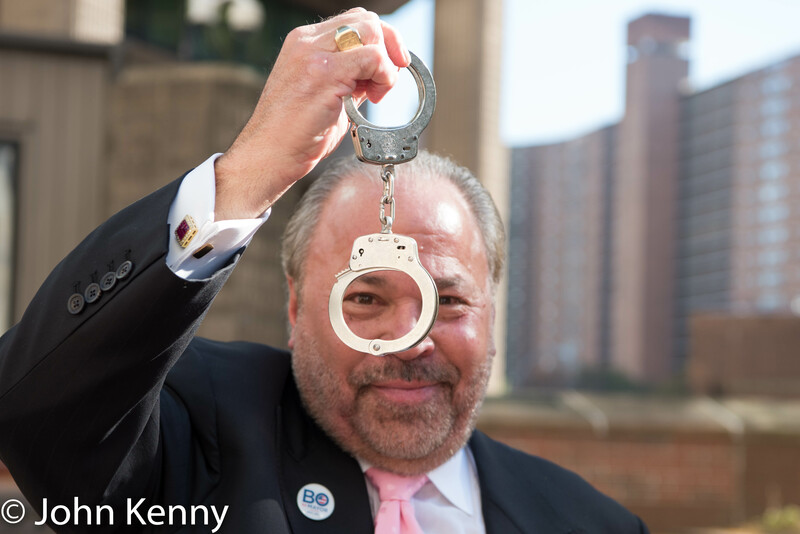 Mayoral candidates Bo Dietl, Sal Albanese and Nicole Malliotakis rolled into Whitestone last night, attending a candidate forum hosted by the We Love Whitestone Civic Association. 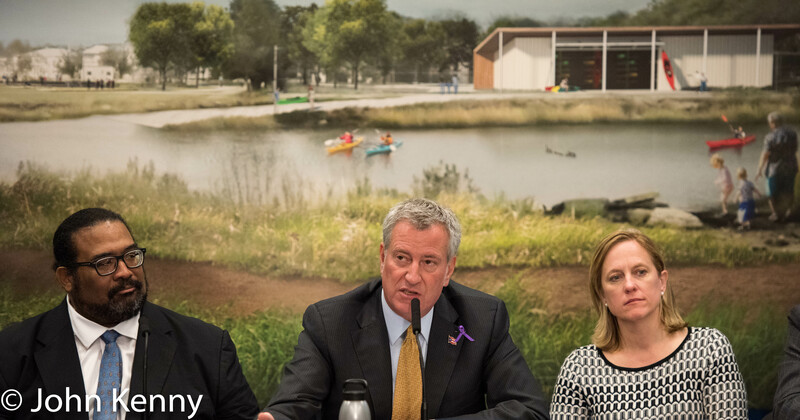 The forum drew a modestly-sized audience of 30-35 people. 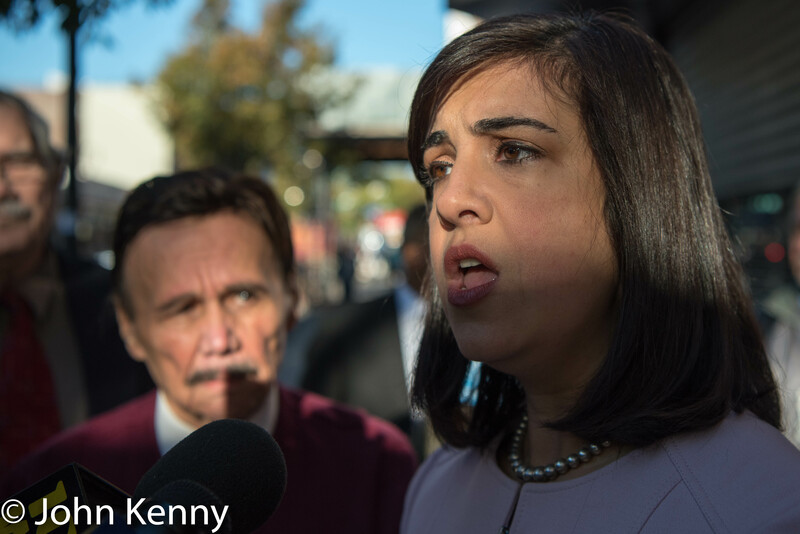 The forum was structured to have each candidate speak on their own, with an opening statement and responding to written questions from the audience. 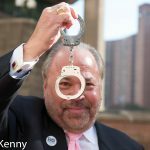 Dietl and Albanese ended answering questions together, with some discussion between the two candidates but without them falling into a debate. 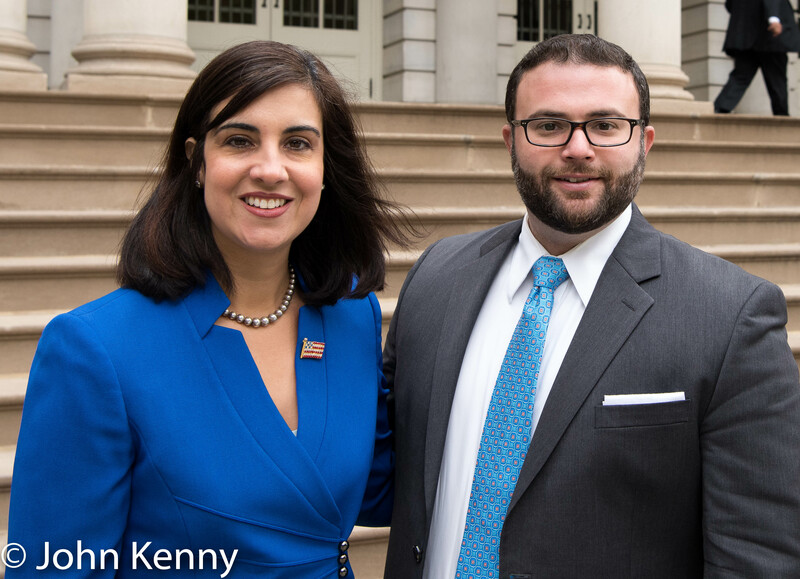 Malliotakis arrived shortly after Dietl departed and she spoke solo as Albanese sat and listened.